Mrs. Debby Duncan, age 60, of Richmond, Boaz, Alabama, died on Wednesday, April 10, 2019 at Duke University Medical Center. Service will be held on Sunday, April 14, 2019 at Four o’clock p.m. at McRae Funeral Home Chapel with Bro. Jacky Duncan and Bro. Hunter Sharpe officiating. Interment will follow in Hillcrest Cemetery. Visitation will be on Sunday from 1 until service time at the funeral home. Mrs. Duncan was born in Alabama on December 7, 1958 to Addies “Dee” & Willodean Childers Sims. She was a Medical Transcription Supervisor for Marshall Medical Centers. Mrs. Duncan is survived by her Husband: Randy Duncan of Boaz, Daughters & Sons-in-Law: Elaine & Michael Wren of Cullman, Melanie & D.J. Stephens of Florida, Destiny & Kerry Walls of Boaz, Stephanie & Tobias Jones of Muscle Shoals and Leslie Dobbs of Attalla, Grandchildren: Dalton & Sheridan Wren, Dillon & Larae Stephens, Tray Dobbs, Madison Wren, Tyler Dobbs, Krimsyn Jones, Kyndra Jones, Kayden Dobbs, Mason Dobbs, and Hudson Walls, Great Grandchildren: Isabella Stephens, Emily Grace Wren and Octavia Stephens, Brother & Sister-in-law: David & Denise Sims of Boaz Sister: Deana Smith of Rainbow City. She was preceded in death by her Parents: Dee & Willodean Sims. Pallbearers will be Tray Dobbs, Tyler Dobbs, Denman Davis, Dillon Stephens, Jeremy Duncan and Brad McClendon. 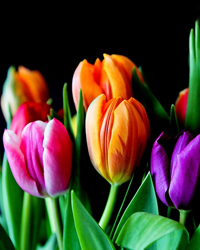 The family is accepting flowers or suggests donations to Duke Health in support of the Lung Transplant Director’s Fund, Duke Health Development, ATTN: Morgan Pope, 710 W. Main Street, Suite 200, Durham, NC 27701.